Established in 1999. Outstanding service and attention to details made us one of the top local movers in the Los Angeles and the bay area with extending our local service throughout Orange, Riverside & San Diego counties in the past few years. We provide full moving services with outstanding care for your valuables and like always striving to keep your moving costs down.We carry all required insurances by law including workman's comp for your protection. All our crews are assembled from the employees of the company and not day labor. We have the most important and valuable thing in the moving industry. When everybody is talking about their trucks, storage size, and great rates, we talk about our guys. Many of our guys have been with us since the company first saw daylight close to 15 years ago. 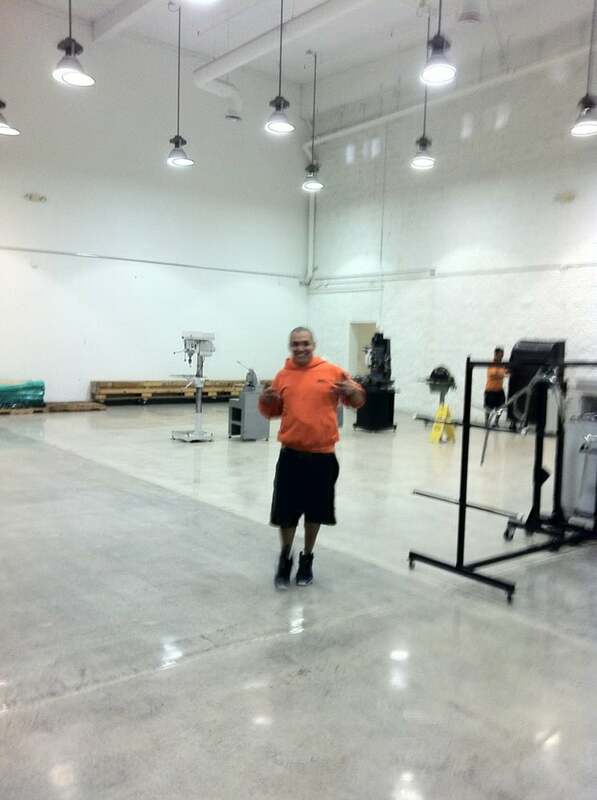 These are honest, hardworking men & women, and above all true professionals.Premier Los Angeles professional movers! We recently purchased a new home and needed moving and storage services. After acquiring 3 quotes, we decided to move forward with Prodigy Moving and Storage. Their quote was extremely competitive. Everything they were providing was explicitly spelled out. No surprises, no hidden fees, all on paper.Once our move day arrived, the team from Prodigy was at our front door at precisely the time they said they would be. Carlos 2, Jesus 3, Rigo, Juan 2 and Alfredo were ready for action. They were all highly professional, exceedingly courteous, and very respectful of our items and our home. Carlos 2 coordinated the move, tracked every box, every item packed, and did it all with a cheery and positive demeanor.I can't say enough about how happy we were with the move. The team from Prodigy worked very hard for 6 hours, never providing anything less than stellar service. Great work Prodigy! For any of my moving needs, I'm calling Prodigy Moving. Veronica helped coordinate our residence-to-business move, navigating the complex insurance policy needs of our building management company, and ensuring that all the necessary paperwork was done (quickly and accurately!) to avoid delaying the move. She also worked around our scheduling timeframe coordinating the move team with our homeowner's schedule and our loading dock schedule so that everything worked like clockwork! What seemed like a simple project to us was actually more involved but Veronica was in touch regularly to make sure all the details got worked out.The move team of Jesus M., David, and Guillermo were professional, personable, and patient upon arriving at the pick-up location where they had to wait briefly for the homeowner to return. Jesus was in touch with me to verify addresses, loading dock access details, and kept me advised of their progress and ETA to our building. Once here, Jesus and his team worked quickly and efficiently, were cheerful and professional, and accomplished the unloading and transport of MANY boxes up to our 28th floor office suite rapidly and with virtually no disruption to the office. Great guys and we appreciate the expert service.I highly recommend Prodigy Moving for large or small moves, and would definitely call them first for any future needs. I am very happy with the service. It was $155 an hour. Since I was moving 5 minutes a way the drive time charge didn't apply. MARY gave me the quote by e-mail, so there were no surprises. She was helpful and friendly, and answered all my questions. FERNANDO the crew foreman was great. He and the crew worked fast and did the whole move in under four Hours!I chose the 5% cash discount, so I was very happy with the final price. I had most everything ready in boxes so they just picked up the packs and loaded the truck. They wrapped all furniture. and disassembled the tables, and bed frames. They put them all back together at the new house, no problems. This is the second time I have used Prodigy and I would choose no other mover. We live in the Los Angeles area but had purchased a home in San Diego. We contracted with Prodigy Moving and Storage because they gave us a competitive quote and outlined their approach to the move in detail. Iliya made our initial arrangements and was courteous, friendly, and professional. They contacted us a couple days ahead of time to confirm the move date and the timing, and then arrived right on time as promised. Jesus Meza led the team and was accompanied by Kevin, Devin, Lalo, and Pedro. These guys were terrific. They did a quick survey of the household items to be moved, and then kicked into gear. All the items were wrapped and/or padded as appropriate to prevent dirt and scuffing, and great care was taken to ensure no walls were hit during the move. They were fast and efficient. In no time they were on the way with our furniture to San Diego. 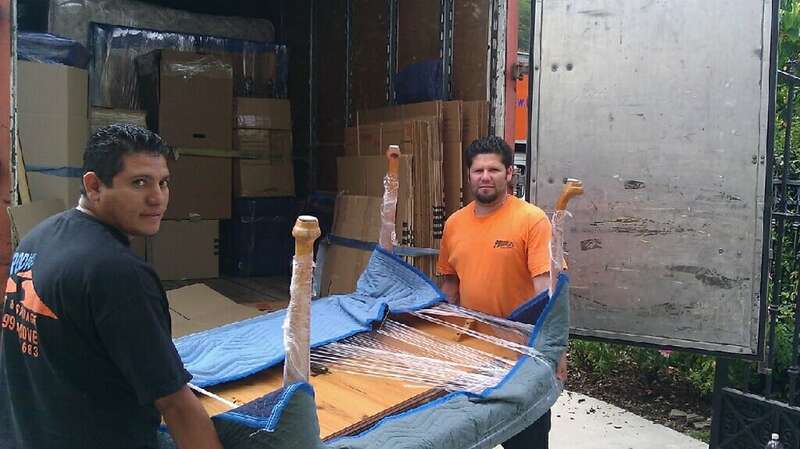 Once again, they arrived as scheduled and wasted no time unloading all the furniture, reassembled the beds, and got us up and running very quickly. We were done and they were gone hours ahead of what we originally envisioned. Prodigy gets great reviews for a reason. Because they are great! I would request them again if we ever have to move. Jesus has a great team, I highly recommend them. I found these guys through Yelp, and the reviews are real and accurate. I called for an estimate appointment and Iliya came out and gave us the estimate, which we thought was over estimated for time, but actually it was not off by much. Originally we wanted to move the next week but since Labor Day was a long weekend, he got us scheduled for the 3rd.Our crew was Carlos (lead) Mauricio, Onael and Eric G. They showed up at 8:30, all were really fast, and really careful. We were moving almost the entire house to another house less than 10 miles away, and we were all done by 2:30 pm. Awesome!! !